Divorce Counseling For Women – How Can Therapy Help? 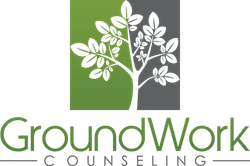 At GroundWork Counseling in Orlando, our counselors and therapists work with women seeking divorce counseling while they are going through the process of separation and divorce as well as after their marriage has ended. Counseling supports women through the process of grieving the loss of their marriage and helps women to begin to focus on the possibility of building a vibrant, joy-filled new life instead of wasting time and energy complaining about their ex-husbands. Going through a divorce is an undeniably difficult experience and taking care of yourself physically as well as emotionally is crucial during this challenging time. Stress, anxiety, sadness and depression are common responses as a woman moves through the mourning process of divorce. Counseling can help you to become strong and resilient so that you can bounce back from this stressful life event. Just because your marriage has ended, doesn’t mean your life is over. It can and does get better! ←How Can Orlando Marriage Therapy & Counseling Help Your Struggling Marriage?